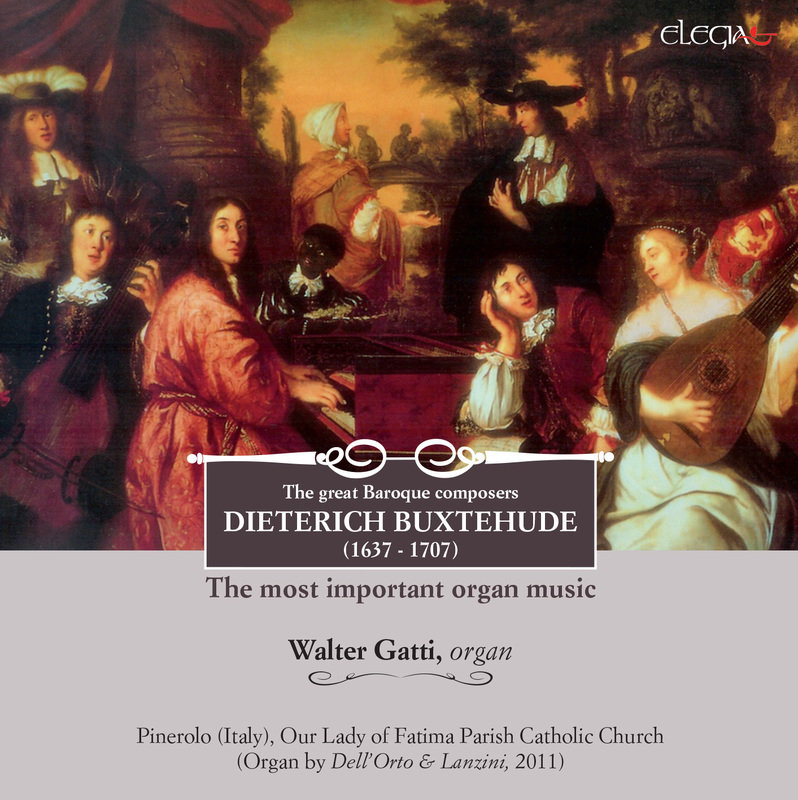 Denmark composer and organist Dietreich Buxtehude (1637-1707) was a man of broad culture (his hometown Latin school was one of the most prestigious of his times and he came from an highly educated family). Generous and beloved from acquaintances both in his homeland and abroad, Buxtehude lived in several cities in Germany before settle down permanently in Lubecca, where he became extremely popular. His astonishing musical style is mixing bravery and consistency in an alternation between sharp architectures and oasis of peacefulness. Today his style might be seen as tragic, elusive almost barbaric. This is particularly true for his pipe-organ productions, also thanks to his direct experience in crafting organs. In truth Buxtehude’s music is a clear portrait of his times, connecting Sweelinck’s Dutch style with Weckmann’s Italian taste. Buxtehude made use of these different languages with a smart and independent attitude, is the so called ‘Stylus Phantasticus’ or in other words a way of composing well theorised at the time that prescribes not to stick to any particular rule with the only intention of raising emotional participation in the listeners. What makes great Buxtehude’s productions is the extraordinary control on such a wide diversity of sonic materials. The illusory impression of ‘disorder’ and magmatic extroversion in his music is nothing else than a pradoxical but conscious way of expression. Full organ specs card included.